KAMPALA – The Uganda People’s Defence Forces (UPDF) has failed to raise a single penny for payment of salaries of the Local Defence Units (LDUs) forces that were recently deployed in Kampala and surrounding areas after the request for the UGX80.4b to cater for their wages was rejected by the Treasury. The revelation came to light on Thursday, April 11, when the Ministry of Defence and Veteran Affairs appeared before the Parliamentary Committee of Defence and Internal Affairs to present their 2019/2020 ministerial policy statement where they revealed that no money was availed to the item. It should be recalled that the same matter came up in January 2019 when Parliament was considering the Budget Framework Paper and the ministry revealed that the army is set to grapple with a shortage of funds for LDUs and of this, UGX9.25b is meant to cater for their salaries as well as UGX12.6b to be used for Kampala deployment of LDU training and the figure is further worsened by the fluctuating fuel prices, while the LDUs also don’t have uniforms they will wear upon completion of training with UGX14b needed for the cause. Additionally, the LDUs also need UGX49.3b required for their food during their training and later deployment isn’t provided for by the Treasury. President Yoweri Museveni announced plans to increase numbers of the reserve forces following the ruthless assassinations of top officials in government, like Ibrahim Abiriga and Muhammad Kirumira who were gunned down in broad daylight last year, prompting the Commander in Chief to list ten point measures to boost Uganda’s security. 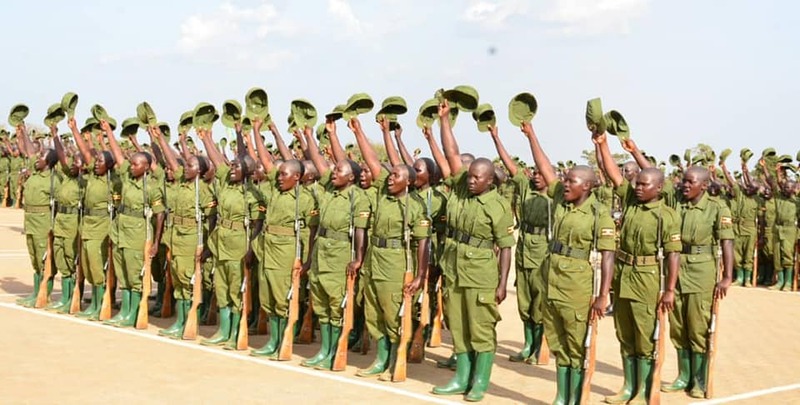 After his June 2018 pronouncement, Mr. Museveni’s plan was executed in September 2018 when UPDF spokesperson, Mr. Richard Karemiire announced plans to recruit 24,000 LDUs and the current lot of 4,000 LDUs is the first to be trained and each of them set to receive UGX200,000 as monthly salary. Butambala County’s Muwanga Kivumbi warned that failure to pay the LDUs is likely to pause a security threat after reports they have gone three months without pay. However, Ms. Edith Buturo Under Secretary Ministry of Defence denied reports of LDUs working without pay arguing that the army even relaxed their rules to pay the LDUs who were on training after receiving an executive order from the President.